There will be no shortage of intriguing kitchen design trends in 2019. 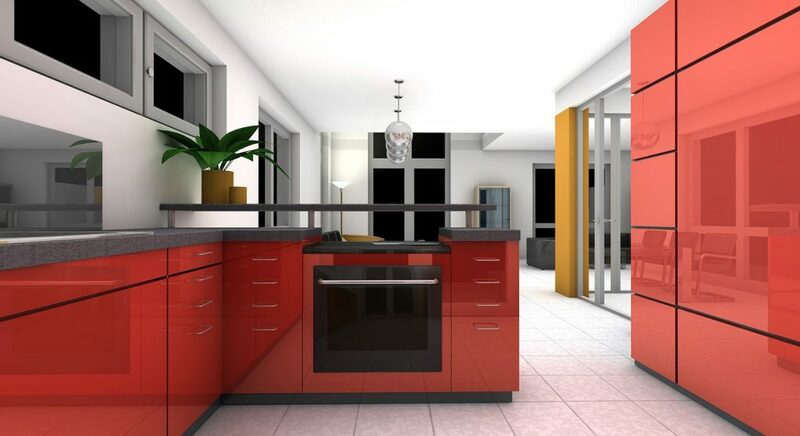 The top interior kitchen designers in West Hartford CT are using a number of ideas. Unique concealed appliances and cabinetry inter-weaved with pops of vivid color into an otherwise light or neutral space. Vintage statements merged with industrial modern designs and stunning natural raw materials. Nature inspired stone, sensational authentic woods and artsy textured rattan, jute and wicker are just some ideas. Look for interesting pendant lighting, more contrast textured layers and exciting new backsplash options. Brass and pewter faucets are the rage. Open airy shelving and creative color patterns in unexpected places are all hot designer trends for kitchens this year. All white kitchen decor will remain a classic. Designers everywhere are taking this contemporary and minimalist style to new heights by incorporating some depth with strategic layering updates. Glorious taller backsplashes are the star of the show in the kitchen. 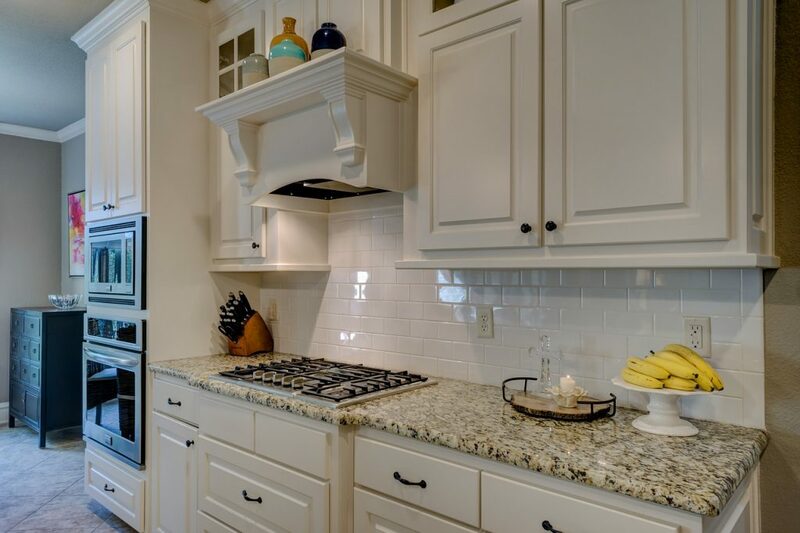 Swap out those gold and brown counters to lovely grey-blue granite counter surfaces. Pops of bright color on bar stools or kitchen chairs bring interest into the space. Jeweled pendant drop lighting fixtures and open shelves with accent textures, colors and other clever visual tones. This new trend incorporates the timeless look and feel of vintage textures and style with sleeker modern kitchen designs. Consider pairing a beautifully handcrafted natural rattan island chairs with thicker slabs of gorgeous natural stone surfaces. Use eclectic vintage lighting fixtures with increased natural lighting effects from skylights, interesting window shapes and layered lighting techniques. This look is far from the messy and busyness of vintage styles in years past. The 2019 trend is all about flavoring an otherwise monochrome look. Vintage pieces that generate depth, old-fashioned yet still relevant textures compliment bursts of eclectic throw-back focal accents. These will instantly update a modern space perfectly. There are some wonderful refreshed design picks, which all homeowners should seriously consider, that focus on the kitchen sink area. Try installing an impressive farm-styled island sink fashioned from lustrous and durable pewter and gunmetal materials. This style is not as dramatic and overdone. Whereas, a matte sink and bold appliance finishes are a bolder move. This trend is ideal for any kitchen design that needs just a hint of added texture and depth. For the courageous homeowners among us, shiny brass fixtures and facets are all the rage. This opulent look is perfect for adding a bit of sass into an otherwise stately or high-end interior design style. Island sinks continue to be a statement focal point that will likely remain relevant for a long time. Before investing in a better grade kitchen sink, homeowners should consult with a qualified plumber. Installing a sensational easy-to-clean-and-maintain island or traditional placed sink selection. This can help ensure that your kitchen plumbing is up to standards before adding a sink, faucet or other water feature. Nature-inspired interior design styles will never go out of style. This is a timeless trend that gives any interior space a peaceful atmosphere that is also incredibly beautiful and stylish. Interior designers are still using a lot of authentic wood materials even in the kitchen and dining spaces this season. Look for lighter hued wood cabinets, layered wooden surfaces with natural stone and copper or brass accents. Designers are also embracing fabulous natural hardwood flooring options. These open up the space giving it an open and spacious feel that still feels warm and comfortable. Adding a trendy color into your kitchen design is one of the easiest and fastest ways to brighten up your dark, gloomy kitchen spaces. The new trends this season are vivid colored cabinets. Such as, deep royal blue, somewhat muted green or blue tones or washed gray-blue shades. Also very popular this year, hunter green is a color that kitchen designers are fully embracing in 2019. This shade looks phenomenal with wooden and copper or brass fixtures and white creamy counter surfaces or displayed china. Pair these mood brightening colors with attractive tiled or marbled backsplashes. Add muted metallic tones of gold, brass or silver pewter depending on whether the kitchen has cool or warm tones. What’s New in Kitchen Appliances This Year? There are some great new appliance trends hot on the market. These include whimsical blue and white Scandinavian patterns for ranges. Bold brick-red appliances, matte black kitchen appliances and feature finishes and other luxe color and finish selections. It is increasingly popular to have custom built or designed kitchen appliances like espresso makers that turn on with Wifi. Brilliant wine fridges and cafe styled stocked bar nooks are also increasing popularity. This year, kitchen design trends with appliances. These are either showcased high-end luxury appliances or totally hidden-from-sight appliances that are seamlessly integrated into the whole kitchen design. This year, everyone can find examples of their favorite kitchen styles that are trending today with interior designers. Look for timeless and effortless style options that will remain relevant through the years. All of the kitchen looks this season are clutter free. Yet these design themes still retain that welcoming and warm homey charm that most individuals are searching for. There are some remarkable new flooring options being used in kitchen and dining room spaces. These also help to integrate a more open floor plan. The installment of statement lighting fixtures is one of the key pieces in incorporating different design styles. Homeowners will find a wealth of simply stunning lighting options with their interior designers. The kitchen is truly the heartbeat of the entire home. Choosing an appropriate design for this space is likely the most important for homeowner and family satisfaction.